Picture a desk. It's yours, but you're not at it. You're out there with the team. Leading. Coaching. Mentoring. You support your people with so much passion and respect they would follow you to Walmart on Black Friday. Now, prove that on a single sheet of paper among 300 others like it and get hired. Your manager resume must do so much more than list experience and education. It has to show you've got the horsepower to forge relationships. To transform individuals into a team. 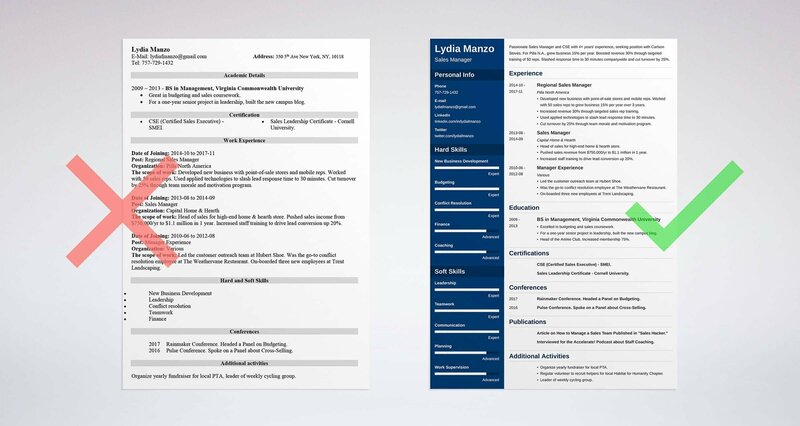 A manager resume example better than 9 out of 10 other resumes. How to write a management resume that will land more interviews. Tips and examples of how to put skills and achievements on a managerial resume. How to describe your experience on a resume for a manager to get any job you want. Here's a sample resume for a manager made using our resume builder. What's the Best Format for a Manager Resume? Meet the corporate hiring manager, Ellen. Why is she so irritated? Answer: Her battered MS Surface holds 250 manager resumes, and she has to read them all. She scans each one in just six seconds. That means your management resume format has to grab her, fast. Reverse-chronological is the best pick for a managerial resume. It fast-tracks your best achievements to the reader. Use clear fonts like Arial or Cambria, big headings, and generous white space. Finally, save it as a PDF. Management resume PDFs stay solid when they leave your desktop. MS Word resumes can go south in transit. Pro Tip: PDFs are great, but double-check the job description. Some older Applicant Tracking Systems clash with manager resume PDFs. You can't wave your magic wand and make the hiring manager read your management resume. But you can write a first paragraph that does. It's called a resume objective or a resume summary. But which is which? And which one should you use? Write a manager resume objective if you just launched your leadership career. Write a resume summary if your legacy systems have legacy systems. Let these two sales manager resume examples lead the way. Passionate entry-level sales manager, looking to train on the job. Skilled in leadership, conflict management, and budgeting. What's wrong with that? Nothing, if you're a proto-Michael-Scott. Spice it up with a few actual achievements from past non-management jobs. Passionate, Cornell University Certified sales manager, seeking an assistant manager position with Capital Hearth. Past management experience includes leading the customer outreach team at Hubert Shoe and on-boarding three employees at Trent Landscaping. As volunteer recruiter for local Habitat for Humanity chapter, increased recruitment 31%. Not exactly the next Bill Belichick yet, but far better than a total greenhorn. Now what if you're already a stone's throw from Jack Welch status? In that case, see these senior restaurant manager resume examples. Enthusiastic restaurant manager with four years experience. Seeking new position with forward-thinking company. Highly skilled in budgeting, finance, conflict resolution, and all aspects of restaurant management. That's not awful. Know any great companies looking for "not awful" managers? To land the interview, you'll need to prove your Hector-Ruiz-level qualities. Passionate Restaurant Manager with 4+ years' experience in multi-unit management, seeking position with Chipotle. At Pizza Hut, trained managers and staff to meet sales goals. Built strong relationships with food service vendors and retargeted inventory to cut costs. Implemented employee engagement program to slash food costs 15% and cut turnover by 25%. Nice work. That's practically the poster child for It's Okay to Be the Boss. What's good about it? It goes straight to tantalizing specifics. Pro Tip: Keep your manager resume summary or resume objective short. It's just a hook to get the hiring manager to give your resume a careful read. Does the most experienced candidate always get the job? More often, it's the one who shows it better on her managerial resume. Display your most recent experience first. List 3-5 resume bullet points crammed with measurable achievements. 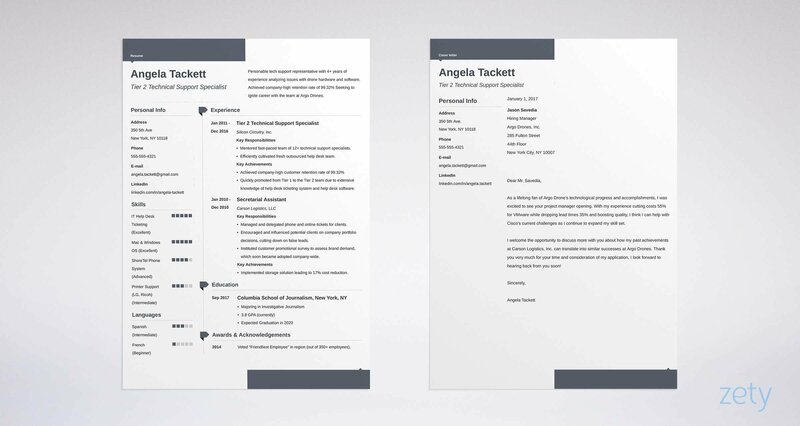 Check out these two operations manager resume examples. Handled order processing, scheduling, and vendor management for a high-volume furniture company. Negotiated long-term deals with shipping companies, resulting in 22% cost savings. Through improved warranty support and customer service training, increased repeat business 18%. Worked with internal stakeholders to drive lead times down 20%. The hiring manager just spilled her coffee. Your first-rate management position resume just blew her hair back. Handled all operations management duties for a high-volume furniture company. In charge of order processing. Directed and oversaw all scheduling and vendor management. Negotiated deals with shipping companies. But what if you've never held a management job? Look at these two entry-level manager resume examples. Is it really possible to have zero management experience? Planned, organized, directed, or monitored? Resolved a conflict between two or more people? Those are all leadership and management duties. They're what makes a successful manager. What's wrong with this first marketing manager resume example? Management Experience: No management experience yet, but 5+ years of marketing experience and I'm great at managing people. Yuck. Who put soap in the lasagna, right? It might as well say, "Don't hire me, I haven't got a clue." Led the customer outreach team at Hubert Shoe. Was the go-to conflict resolution employee at The Weathervane Restaurant. On-boarded three new employees at Trent Landscaping. Now you're showing some core competencies. But with a bit of strategy, even a newbie can have a managerial resume like that. Pro Tip: In a new manager resume, the key is management vs leadership. After all, what is a good leader? Someone who has held a title, or someone who can lead? Experience matters more than education in a managerial resume. But if you don't list your education right, you're wasting it. It's like having access to a team of high-end data analysts, then only using them for fantasy football. But add accomplishments that fit the job like a custom Burberry. These managerial resume samples are for a job that stresses budgeting, sales, and leadership. Excelled in budgeting and sales coursework. Built the new campus blog for a one-year senior project in leadership. Head of the IT Club. Increased membership 75%. Did we go back in time and meet a young Jeffrey Immelt or Phil Knight? It's miles better than this next manager resume example. Took core business management classes. Who wrote that? Mr. Krabs from Spongebob? Everyone with a degree in business management took core management classes. But add achievements, and you've won back the competitive advantage. Pro Tip: Does GPA matter on a managerial resume? If it's recent or impressive, yes. Otherwise, hand it a pink slip and show it to the door. "I can pan for gold, hunt bear with a knife, and fly a hang glider." Now what if I show video? Writing a long list of manager resume skills impresses no one. Proving them? That's another story. New business development, lead conversion, and budgeting. You'll list those, plus a couple more to fill things out. General manager for high-end home & hearth store. Developed new business to push sales revenue from $750,000/yr to $1.1 million in 1 year. Increased staff training to drive lead conversion up 20%. Created annual budgets. Cut inventory costs by 25% through annual trend analysis. Zap. You just stuck your management resume to the job description with superglue. Need a sample leadership skills list to start with? Use the one below. Let's ramp up your job search with this team leader skills list. Find more management resume keywords in job offers online. Follow the steps above, and your manager resume will make you look like Joan Holloway or Steven Reinemund. Pro Tip: You may argue that tying skills to experience in a great resume for a manager still isn't "proof." It's proof enough. The hiring manager can get more detail in the interview. The hiring manager has 99 problems. Don't make "hunting for your license on a management resume" one of them. If you're writing a project manager resume, you might have a PMP certification. Sales manager resume? That might be a CSE. Or maybe you're making a restaurant manager resume or retail manager resume. That might mean a ServSafe cert or an RMC. CSE (Certified Sales Executive) - SMEI. Sales Leadership Certificate - Cornell University. You can also list it in your management resume objective or resume summary. Will a certification teach you how to be an effective manager? No, but you might learn something, and it'll give your managerial resume a fat promotion. Pro Tip: Want a quick certification that looks great on a sales manager resume? Cornell University offers a 2-week online leadership class. Nothing impresses like "Cornell" on a resume. So much of leadership and management is interpersonal skills. Show you have the characteristics of a good leader with targeted "other" sections. Everyone needs hobbies, but yours should show that you can get the job done. Now look at this next manager resume example. It fits the job description like a Vardon Overlap. Rainmaker Conference 2017. Headed a Panel on Leadership and Management. Pulse Conference 2016. Spoke on a Panel about What Makes a Successful Manager. "What is People Management" Article Published in Sales Hacker. Interviewed for the Accelerate! 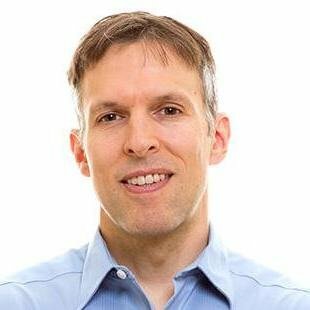 Podcast on How to Be an Effective Manager. Organize yearly fundraiser for local PTA. Regular volunteer to recruit helpers for local Habitat for Humanity Chapter. Leader of weekly cycling group. The conferences and publications spotlight passion. The volunteer work and the cycling group showcase an ability to "Get Stuff Done." Pro Tip: Consider joining a professional association, like the AMA, or taking classes. Either looks great on a managerial resume. How About a Cover Letter for a Manager? "Nobody will read your management cover letter." Yes, and nobody likes strawberry ice cream, either. So why do they keep making it? Over 8% of ice cream eaters like strawberry best. Meanwhile, 40% of hiring managers won't read a resume without a cover letter. That's why you need a cover letter for your professional manager resume. Start with the hiring manager's name. Next, show you understand the job description. Do that by talking up the qualities you have that match it. How would you like to cut your customer churn rate by 25%? That's exactly what I did at Adeo, Inc. My secret? Analyzing churn and focusing on customer engagement. That came down to advanced listening skills, plus coaching internal stakeholders. With 4+ years of experience in dedicated account management, I'm confident I can achieve the same results for you. End it with a Call to Action (CTA). Something like, "Can we schedule a call to talk about raising your [Key Performance Indicator cited in the job offer] by [XYZ]%?" Do that, and the hiring manager will read your managerial resume like it contains the secrets of the universe. Pro Tip: Follow up on your job application within three days to jog the recruiter's mind about your excellent management resume. It's easy, and it can be the thing that lands the interview. You got passed over for that dream job. Why? Can you believe it was a contact info error on your manager resume? But you didn't add your LinkedIn profile. The hiring manager got interested in a candidate who did. Game over. Pro Tip: If you need to give your LinkedIn presence a complete reorientation, see our guide on sprucing up your LinkedIn profile here. Start your managerial resume with the job offer. Highlight all the skills and qualities you see. Put a resume summary or objective just below your contact information. Prove your muscle in your bullet points. Your experience and education should stick you to the job like a concentric merger. Add depth to your professional manager resume with "other" sections. Use awards, publications, and volunteer work to show your breadth and passion. Do you have questions on how to write a great resume for a manager? Not sure how to describe your skills or achievements? Give us a shout in the comments! We love to help! A step-by-step guide to writing an executive resume. 20+ actionable examples and tips from experts. Use our sample resume for executive jobs. Read more!